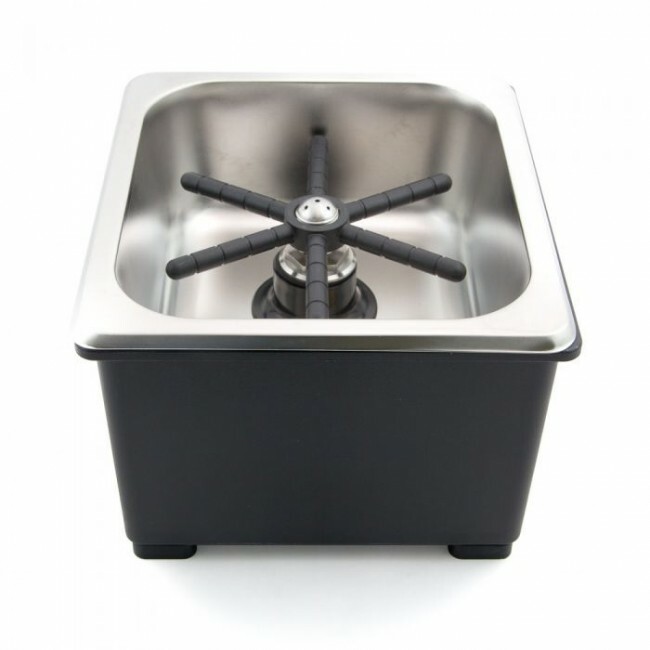 Made to easily install into any cafe, large or small, Espresso Parts countertop 6" x 6" rinser can sit right on your countertop next to any source of plumbing. 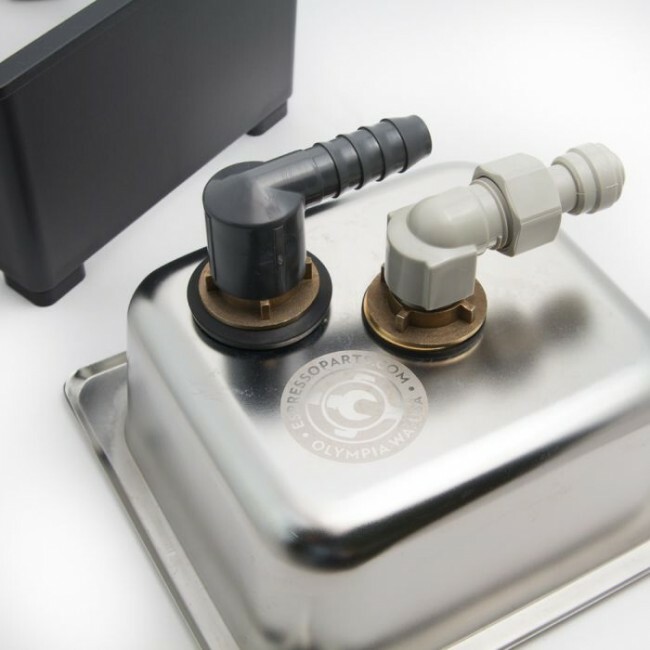 Setting up a rinser by the espresso machine will make the sink less of a hotspot, and will allow busy baristas to stay at the coffee bar for as long as needed. Access to clean and prepped supplies will never be an issue as your rinser will allow baristas to clean as they go. Espresso parts has increased water pressure in this rinser so that it provides a powerful spray, and the rinsing star is equipped with non-slip ridges for added stability while rinsing. Organize your space with the full coffee making process in mind! Small and compact - Made to be as small as possible with maintained functionality. Its compact 6" x 6" dimensions can clean any pitcher between 1" and 4.5", and it will still fit nicely into most spaces. Easily installed - No need to measure a space for cutting into the counter. This model is made for easy set-up on the countertop. The Fast and The Functional - Working in a busy cafe can certainly feel like a high speed chase at times, but keeping a rinser at the coffee bar should help your baristas avoid collisions from running back and forth to the sink. No counter cutting necessary - For the cafe that's already up and running, this rinser may be a good option. 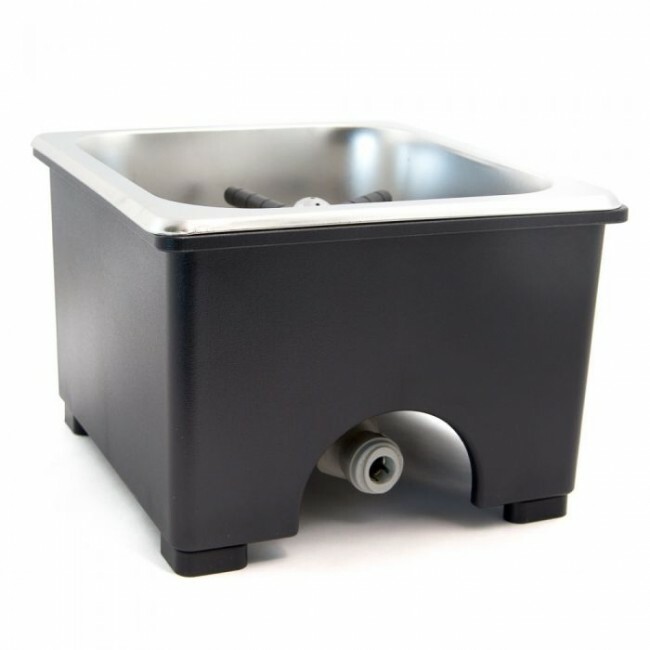 No need to re-evaluate and measure your counter tops - you can set this rinser down anywhere on the counter it will have access to plumbing. Cost effective - One persons response to running out of pitchers regularly might be to buy more pitchers, but who wants to clean more dishes at the end of the day? Having a rinser installed will allow you to keep your pitcher inventory down, and make full use out of the pitchers you actually need. Attention to Detail - Little details in this design will make a big difference on a daily basis. 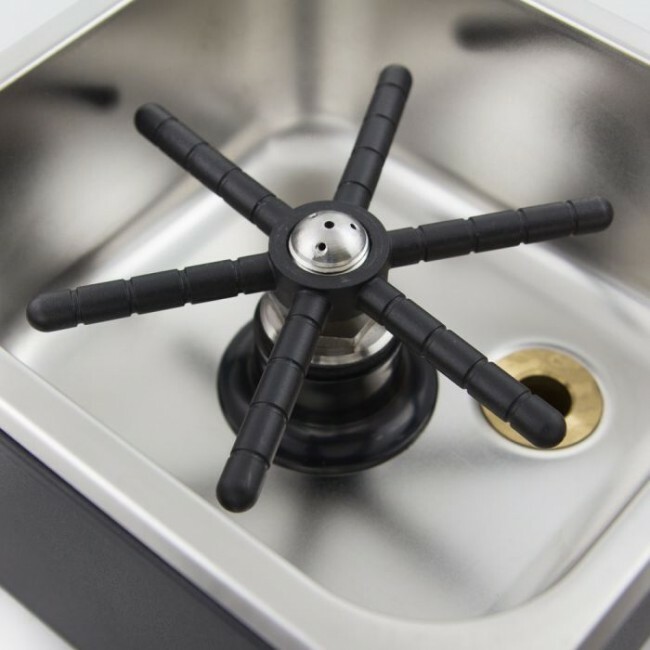 The non-slip ridges of the rinsing star, the added feet at the base for stability, and the rinser stars' extended arm length all work actively to create an effortless system for rinsing. Exposed surface - Keeping the rinser above the counter means it could get bumped or scuffed during busy coffee rushes. But if your cafe is the type to cover every exposed surface with stickers, we'd encourage you to consider this a new blank canvas.